iSpyoo is the professional spy software for the Android. Áirítear leis an leagan for Android ar an gcumas chun monatóireacht a dhéanamh ar teachtaireachtaí téacs, glaoch suímh faisnéise agus GPS i stealth iomlán. Tá sé ag luí leis an chuid is faoi láthair feistí Android a reáchtáil leaganacha luí ar an Android OS. 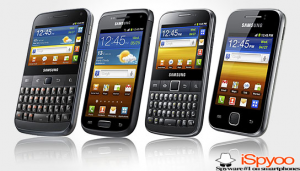 Mobile Spy is also the world’s only professional-grade Android spy! VERIZON FÓGRA: Má tá do iompróir Verizon, tú NÍ MÓR i láthair na huaire síntiús a íoc a gcuid seirbhísí GPS ionas go mbeidh an ghné GPS rianú Soghluaiste Spy feidhme i gceart. Mura bhfuil tú síntiús a íoc a gcuid seirbhísí GPS,iSpyoo Beidh NACH a bheith in ann monatóireacht a dhéanamh ar na suímh GPS an gléas monatóireacht. 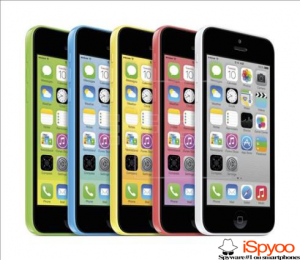 iSpyoo is the leading spy software for the iPhone, iPad and iPod. Do dhuine ar bith atá ag iarraidh monatóireacht a dhéanamh ar teachtaireachtaí téacs, glaoch faisnéis agus GPS suímh ar a n-Apple iPhone i stealth iomlán, dhéanann bogearraí seo an post. Ní mór don fón go mbeadh plean sonraí & Is féidir nasc Idirlín sin na bogearraí Soghluaiste Spy logs a uaslódáil chuig do chuntas. Mobile Spy is the world’s first and best iPhone spy software! Stair láithreán, Grianghraif & Físeáin (a ghlac an teileafón), Profanity Alert, Cur isteach Alert, Custom Eochairfhocal Alert, Déan teagmháil Alert, Geo-Fálú Alert, SMS Ordú Inniúlachta, Liostaí teagmhála, Gmail, R-phost bunscoile bhosca, YouTube Videos, Auto Update, Facebook Messenger, WhatsApp Messenger, Leabharmharcanna (Safari), Laethúil nó Seachtainiúil Staitisticí Logchomhaid Nua, Aisghabháil (Lock, Wipe Sonraí, GPS), Féilire Imeachtaí, Logchomhaid meamram, Apps Suiteáilte, Apps Bloc, Faigh Logchomhaid a chuirfear le ríomhphost, Teachtaireachtaí téacs – iPhone Amháin, iMessages, Logs glao – iPhone Amháin, Suíomhanna GPS, Timpeallacht Taifead, Stealth Camera..